Have you heard of the Atiku’s Plan? There are fine details in the Atiku’s Plan many Nigerians did not read. That’s because it’s in the version that was concealed from Nigerians like Paul Ibeh, Atiku’s Media Adviser(? ), who is never taken into confidence by Team Atiku. Well, the devil as they say, is in the details. The plan, yes the Atiku’s Plan was for Justice Onnoghen to annul the results of 17 major states won by President Buhari, thereby giving victory to you guessed who, yes, Alhaji Atiku Abubakar. But Justice Onnoghen confessed to crimes against our nation. That put the spanner in the works for the Atiku Plan One. Now you know why the South South PDP Governors mobilised the Youth Wing of PDP, IPOB, to defend the self-confessed offender and threatened the nation with mayhem. Nigerians stood their ground and Nigerians won. STEAL THE PEOPLE’S VOTES BY STUFFING BALLOT BOXES ACROSS THE NATION BEFORE THE ELECTION. DESTABILISE NIGERIA BY REPLICATING THE VENEZUELAN OPTION. Reluctantly, he went to the Election Tribunal knowing that his Trump card, Justice Onnoghen, won’t be playing ball. Since then, he has been busy reporting Nigeria, a sovereign nation, to America. In addition, he plastered his face all over Abuja, claiming he won the election with a pending appeal case at the Tribunal! TREASON! 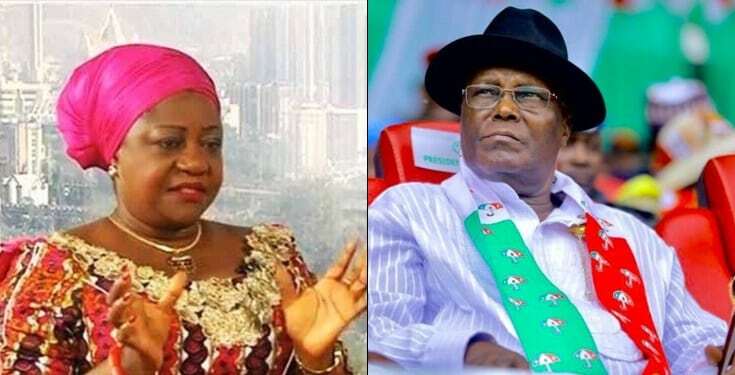 Atiku went on to hire a foreign firm, Fein & DelValle, a firm he has used since 2002, to lobby America not to recognise the mandate freely given to President Muhammadu Okechukwu Buhari for his second term and possibly provoke Nigerians by interfering with the second term inauguration of President Buhari on May 29the 2019. So why was William Jefferson, the New Orleans, US congressman convicted in 2009 for an Atiku Abubakar-related crime sent to jail and Alhaji Atiku Abubakar, is still walking free? Time to get him to answer some hard questions. It’s sweet music that Alhaji Atiku Abubakar was rejected at the polls by Nigerians. What sort of desperation would push a former Vice President to push for the destabilisation of his mother land? I think he already mortgaged or sold NNPC and other national treasures for campaign funds. We are glad that there’ll be a Nigeria to bequeath to our future generation. This would have been impossible had Alhaji Atiku Abubakar won the 2019 Presidential elections. We would have all been sold for easy cash. Every Atiku Abubakar plan for the destabilisation of our nation, will come to nothing. Nigerians will resist any form of foreign interference in our domestic affairs because Nigeria is a sovereign nation, a fact that is lost on the desperate Atiku Abubakar. We will insist that our sovereignty, be respected. Our laws should not be respecters of status. Let the law enforcement agencies therefore, go after those who break them, irrespective of status.